Since approximately 1916, Egypt has adopted a Gold and Silver hallmarking system. Although compared to English Silver, Egypt adoption of precious metal hallmarking is much later but its hallmarking system is well documented and accurate. Collectors also need to note that although Egypt has a precious metal hallmark system but it is not necessary compulsory. This is especially true in small gold or silver jewelry or articles. 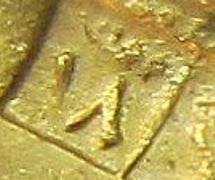 The sequence is usually in the order of from left to right: precious metal purity (Fineness)/assay office; precious Metal Type/national mark; date letter. 800 silver fineness assayed in Cairo assay office. 800 silver fineness assayed in Keneh assay office. The first stamp or hallmark is usually the Metal Type and fineness hallmark that identify the fineness of the precious metal. The egyptian mark for gold was rather simple: a seagull/stork. Please see the photo for the actual mark below. The cat was used from 1916-1945. After which, the Lotus flower, which Egypt uses as their country hallmark for silver from 1946 till today. Please see the photo for the actual mark below. The last mark is the date mark. 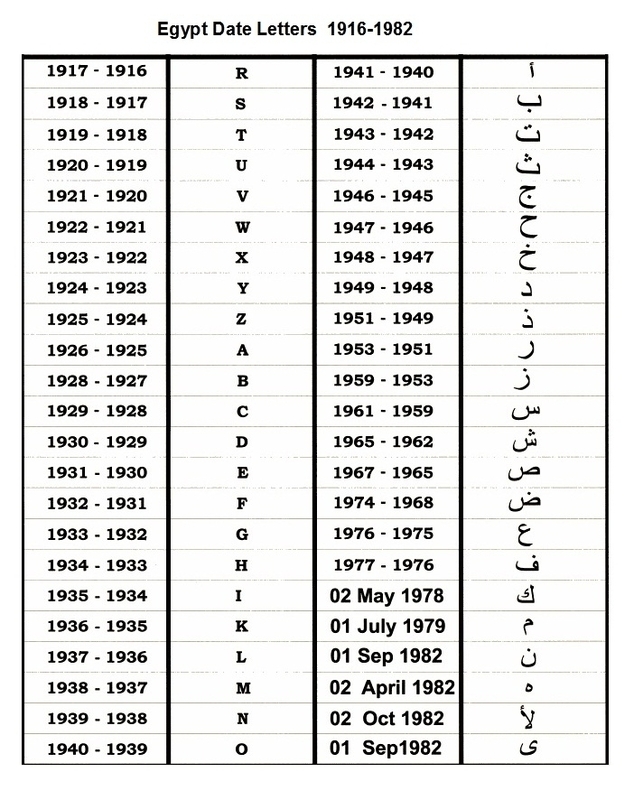 An alphabet letter was implemented to indicate the year of hallmark.